The father of a popular Eastbourne builder paid tribute to his ‘kind and thoughtful’ son at an inquest hearing this week. A well-known local figure, 41-year-old Paul Casey was found dead at his flat in Madeira Way on September 12 last year. 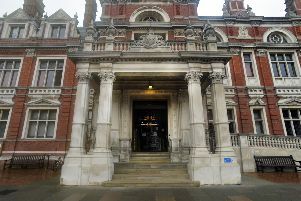 An inquest into his death, which was held at Eastbourne Town Hall on Thursday (January 5), heard how Paul had been a ‘popular and gregarious’ man, with a wide circle of friends. In a statement read to the court Paul’s dad Bob Casey said, “Whenever I met with Paul I would notice he was very much the person everybody wanted to socialise with. The inquest heard that Paul had begun living in the Madeira Way flat after the break-up of a long-term relationship with his ex-partner. The court heard the couple had begun a relationship in 2004 and had moved in with each other not long after but had begun to have frequent arguments about Paul drinking. Paul’s body was found by his flatmate Jamie Greenfield after he returned from work. Mr Greenfield phoned 999 after he was unable to find any signs of life. A post-mortem test later confirmed he had died by hanging. The tests also found that he had a large quantity of alcohol in his system as well levels of cocaine indicating recreational use. Assistant East Sussex Coroner Chris Wilkinson said, “From what I’ve heard Paul was clearly a loved and supported and popular individual. He had an eventful full life and childhood and had a lot of people around him. Paul was very much the life and soul of any party he went to. He added that at the time of his death Paul was experiencing emotional distress over the end of his relationship and had appeared to have taken his own life.